Goddess Saraswathi is the Goddess of Learning. 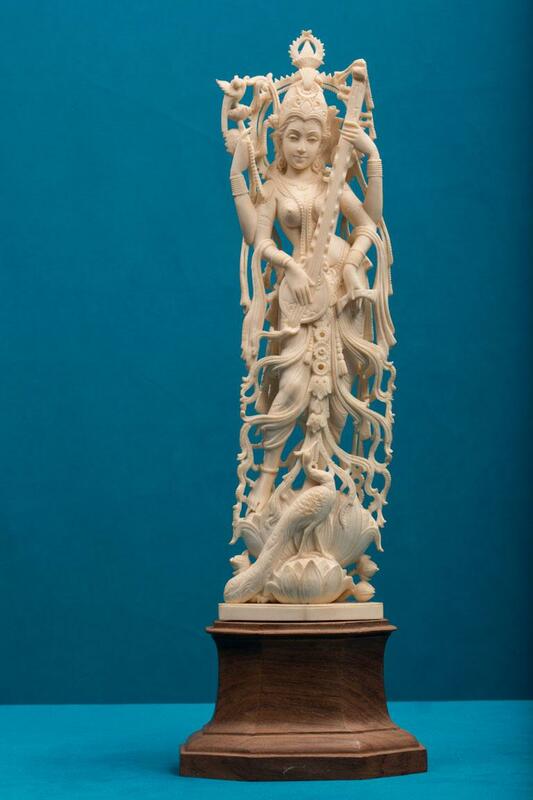 Here the Goddess is depicted as standing on an open lotus with a swan by her side. The figure has calm and graceful features. Her one back hand carries a lotus flower. The two front hands hold a Veena. The entire body is adorned with ornaments and sacred threads.